A fun and active day out for young and old! 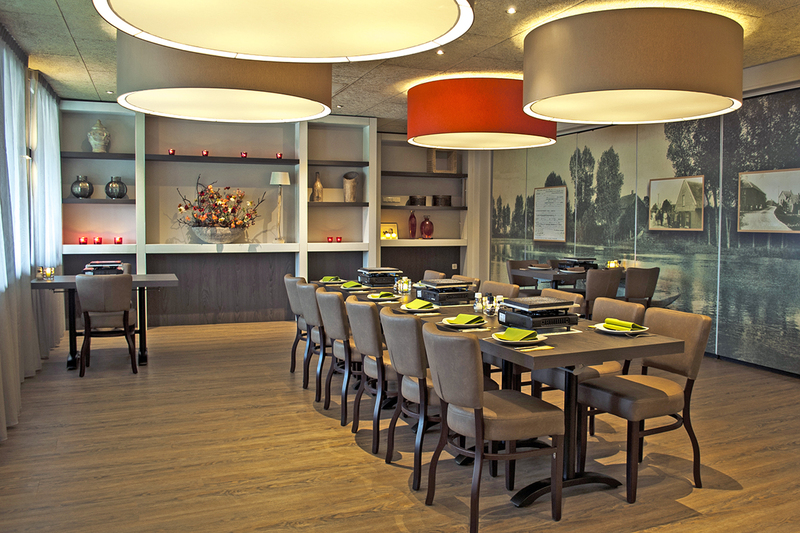 Combine tasty table grills with one of our cozy indoor activities. Together at the table with the most delicious types of meat on the grill. Tasty long dinners in an atmospheric space. Table grilling is a fun activity and also healthy. With our table grill you can bake without using too much fat. Grill different types of meat on a hot plate . In addition to various types of meat, you can also enjoy baguette with herb butter, fresh vegetables, various sauces, raw vegetables, French fries and a surprise dessert. A tasty long meal. Delicious! Table grills is also very suitable for children. Children often like to make their own dishes together at the table! Experience the best indoor activities. Get ready for some active fun. Indoor Disco-Style Minigolf : play the 18 different courses with disco lights with as few strokes as possible. Old Dutch games : go back in time with the best Dutch games of old. Escape room : try to escape from the room as quickly as possible by deciphering cryptic clues. Combine table grills with one of our indoor activities. You can choose from: Bowling, Indoor Disco Minigolf, Old Dutch games or the Escape room (surcharge € 11.00 per person). Cozy and healthy table grills for young and old. You can also have refreshing drinks on the terrace or our the cozy bar. This package guarantees a complete afternoon and evening enjoyment! No interested in the complete package?